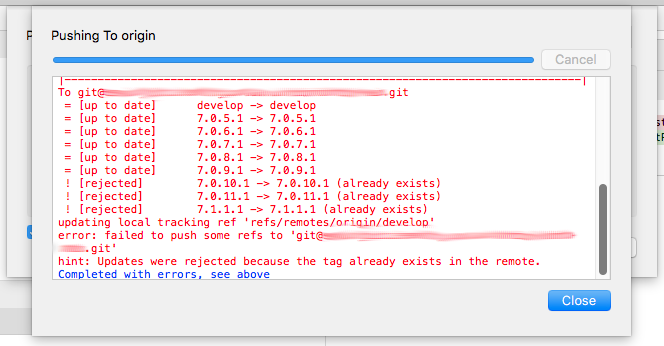 I use SourceTree to manage all my Git repositories, it's a great tool but sometimes something goes wrong with remote tags refs in one of my work repositories and I get error messages when I do a push that tells me that a bunch of tags have been rejected. Now I never actually create any tags so this is a little confusing. Cloning a fresh version of the repository fixes this but is not a solution all the time, especially if you have a bunch of stashes. Luckily there is an option in SourceTree to disable pushing tags to remotes. hint: Updates were rejected because the tag already exists in the remote. The culprit is shown below. In the 'push' dialog there is an option to 'Push all tags'. Unticking that makes the errors go away. 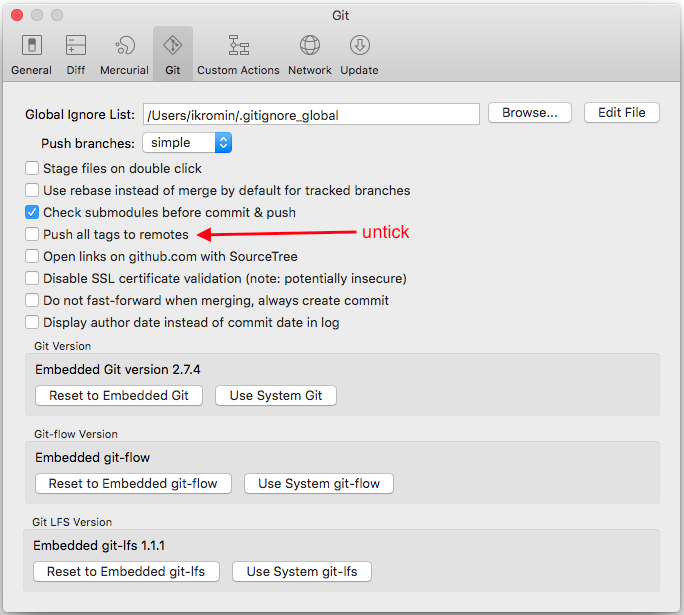 There is a better way to do this via Preferences under the 'Git' tab simply untick 'Push all tags to remotes' and you're done.